Like most people, I am a fairly busy person, and I don’t have a great deal of time to wander about bookstores – especially during the growing season. In fact, most of my reading over the past few summers has been limited to the review of horticultural encyclopedias, manuals and periodicals – stuff only a plant-geek could love! Sadly, I sometimes miss a book when my desire to read it would be obvious if only it were known to me. So, I owe a big thank you to my friend and client Leah for placing Michael Pollan’s work in front of my nose. Leah graciously loaned me The Botany of Desire, which I rapidly consumed with great pleasure. I now have a copy of my own. Thank goodness for pollinating-friends. If you haven’t read The Botany of Desire, you really owe it to yourself to make the time – especially if you, like me, are a hopeless hortimaniac. 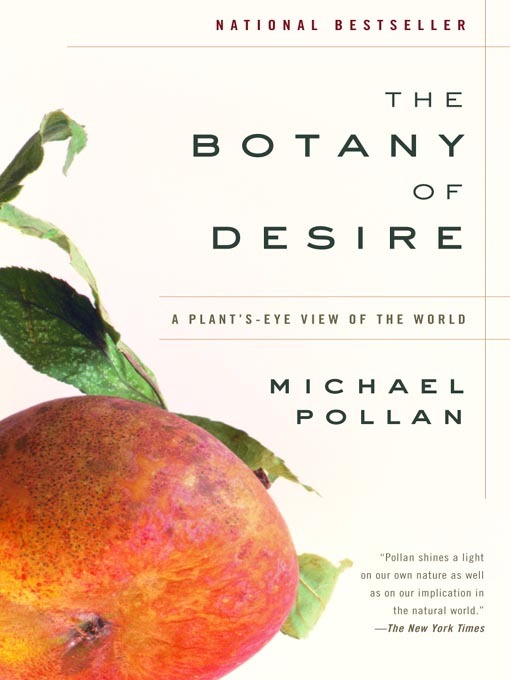 Pollan’s “plant’s eye view of the world” describes how, through selective evolution, the apple, tulip, marijuana plant and potato have used the desires of mankind for their own purposes. The book is beautifully written, and fascinating. You are currently reading Discovering the Botany of Desire… at The Gardener's Eden.